Christine Conway, 'life design expert', has been helping individuals for more than a decade transform their lives. Christine uses a blended approach from her expertise as a life coach, feng shui expert, law of attraction enthusiast and twenty-nine years in corporate America to assist conscious minded individuals who are ready to create their own amazing home life, love life and work life. Christine is known internationally for her unique approach to helping transform lives - from wondering if life is supposed to be this difficult to feeling happy, fulfilled and empowered! Christine changed her life over the past decade using the tools that she is now teaching to others. Christine is an international speaker, a teacher, a designer, an author and a coach. Certified in Professional Life Coaching and Certified in Feng Shui Design, she is the founder of Life Designs & Coaching. She writes for the online community It's All About Women as an Expert Feng Shui Panelist and teaches a variety of courses through local adult education programs. 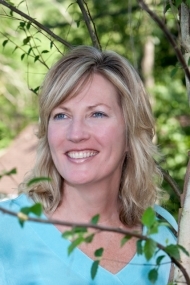 Christine is affiliated with UMASS Memorial Health Alliance Hospital in their Simonds-Hurd Complementary Care Center, offering Feng Shui and Coaching workshops as well as one-on-one and group Feng Shui and Life Coaching services.